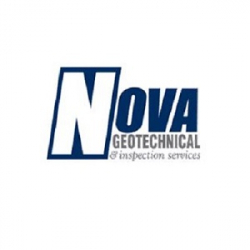 Led by James Bristow, a creative materials engineer and Martin Jensen, one of Nevada’s most established and well-respected geotechnical engineers, NOVA Geotechnical & Inspection Services will provide your organization with the highest of quality Geotech services as required and expected. Our staff strives to direct and/or apply the latest environmental remediation technologies. Our Las Vegas environmental services team will carefully select methods and employ techniques that will meet the specific demands of your particular project situation. Our inspectors are familiar with the latest construction materials, methods, equipment, and other technological innovations. To know more about our Construction testing services in Las Vegas or please call us @ 702-873-3478.